Enjoy the summer with maintenance free boat. Concerts, sunsets, skiing, tubing, grilling, fishing, it can be used for all around use! We've had a lot of fun with this boat but it's time for an upgrade. Talking about upgrades, we installed a brand new Mercury 383 motor last year (still under warranty), new upholstery downstairs and back bench last year, new custom cover last year, new bottom paint last year, and a brand new bimini top this year. Stock #177626 Awesome boat for cruising the water! Always well maintained! This is the sailboat for you! 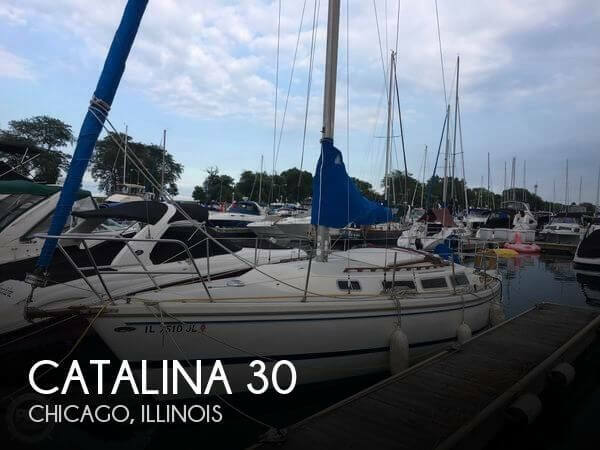 If you are in the market for a cruiser, look no further than this 1980 Catalina 30, priced right at $17,650 (offers encouraged). This sailboat is located in Chicago, Illinois. She is also equipped with a Universal engine. This MariStar 280 VLD is in excellent condition. Remanufactured engine has low hours, and has always been serviced by a professional mechanic. All systems, gauges and instruments are operating precisely as designed. Stock #162590 ++ Performance & Luxury In A Mastercraft!! 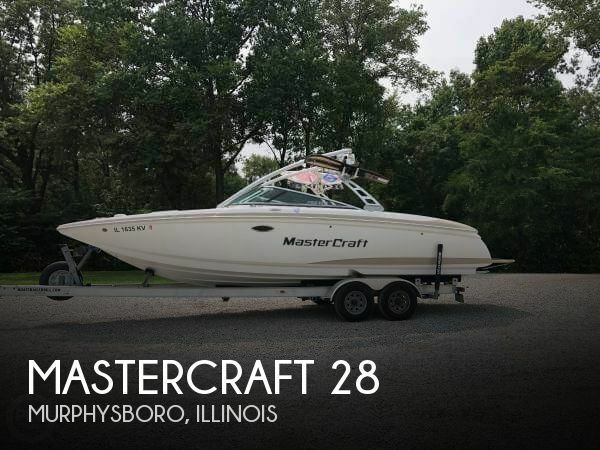 Cruise & ski all day with 15 passengers & potty ++ If you are in the market for a ski/wakeboard boat, look no further than this 2004 Mastercraft MariStar 280 VLD, priced right at $42,300 (offers encouraged). 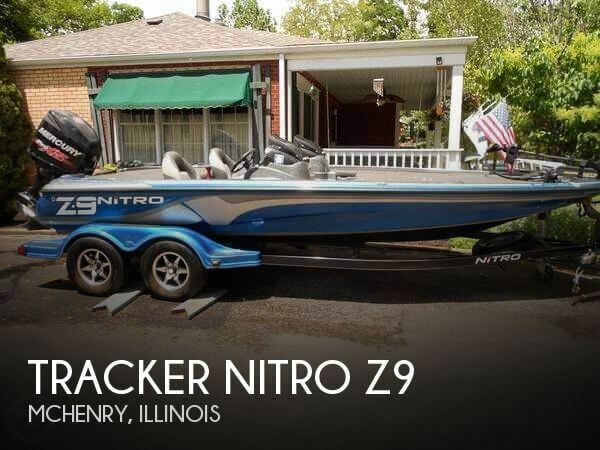 This boat is located in Murphysboro, Illinois and is in great condition. She is also equipped with a Indmar engine that has 680 hours. Reason for selling is no time to use..
Ready to go. Always stored in Garage on a trailer, always trailered for use, rather than left sitting in the water. All the simple maintenance has been performed on an annual and in a professional manner. Stock #177300 This is the boat to have on the water! Perfect for all the family to cruise the water ways in style! If you are in the market for a tritoon boat, look no further than this 1983 Polar Kraft Parti Kraft 280, priced right at $21,250 (offers encouraged). 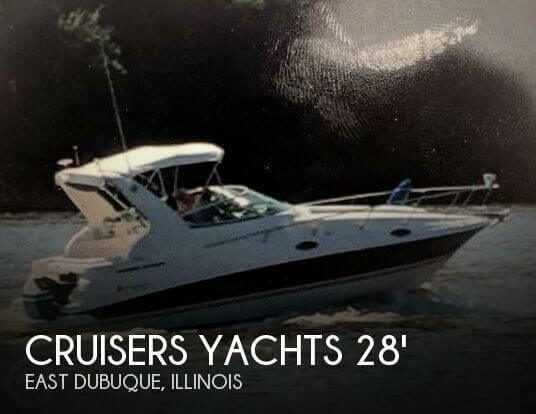 This boat is located in Alton, Illinois and is in great condition. She is also equipped with a Yamaha engine that has only 200 hours. Reason for selling is changing boats. Per the Seller: The boat is in excellent condition. Everything is in working order. Bow Snap-on Cover as well as Cockpit, Snap-in Woven Flooring Trailer tires are in great condition, equipped with aftermarket wheels, all LED lighting, Fulton Hoist. Stock #139109 Excellent Condition 100th Anniversary All American 23! Low hours! Awesome stereo system! Loaded and ready to cruise! If you are in the market for a bowrider, look no further than this 2013 Larson All American 23, just reduced to $48,000 (offers encouraged). 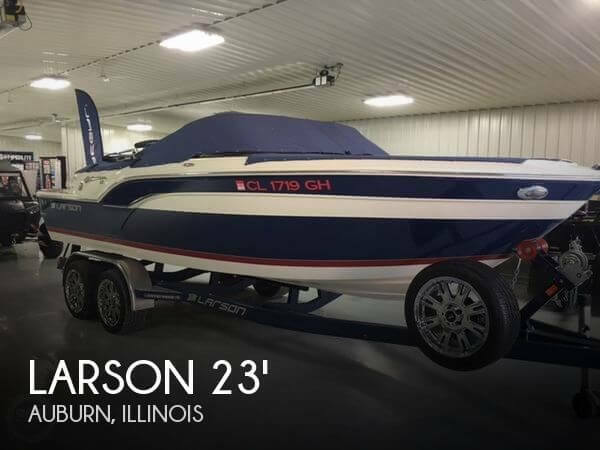 This boat is located in Auburn, Illinois and is in great condition. She is also equipped with a Mercruiser engine that has only 130 hours. Reason for selling is not using enough. This vessel looks to be in better shape than most her age. The upholstery looks great! The Heritage trailer is in better than expected shape. Seller states all systems are in good working order. Stock #176267 A Beauty! Seller meticulous! Excellent condition.Ready to GO! 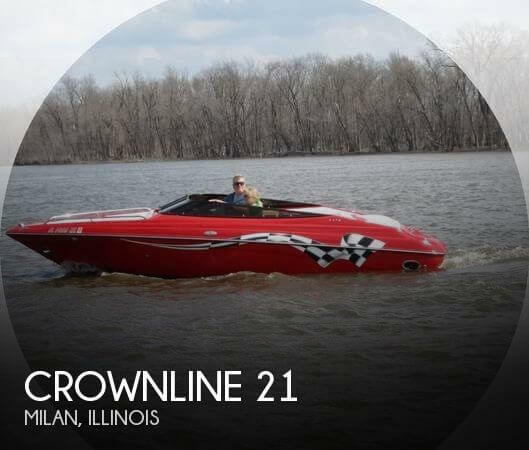 If you are in the market for a bowrider, look no further than this 2005 Crownline 21 LPX, priced right at $25,750 (offers encouraged). 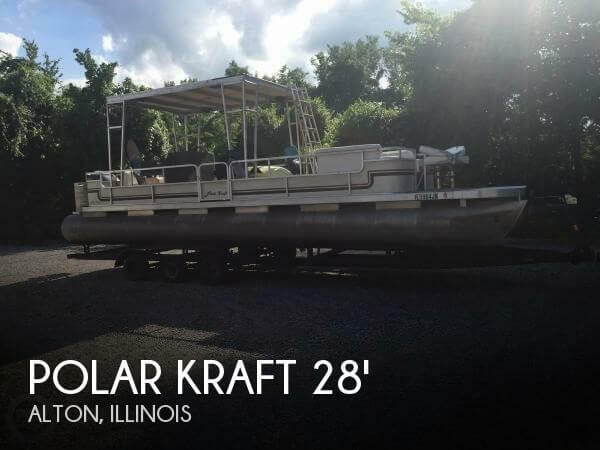 This boat is located in Milan, Illinois and is in great condition. She is also equipped with a Mercruiser engine that has only 215 hours. Reason for selling is getting out of boating. The seller states they have just completed a nice "tidying up" of their prized possession and she is ready for the water. The company offers the details of this vessel in good faith but cannot guarantee or warrant the accuracy of this information nor warrant the condition of the vessel. A buyer should instruct his agents, or his surveyors, to investigate such details as the buyer desires validated. This vessel is offered subject to prior sale, price change, or withdrawal without notice. Stock #173233 280 Cxi Express powered by Twin Volvo 4.3L V-6 Engines, multiple upgrades! If you are in the market for an express cruiser, look no further than this 2004 Cruisers 280 CXI, priced right at $42,800 (offers encouraged). 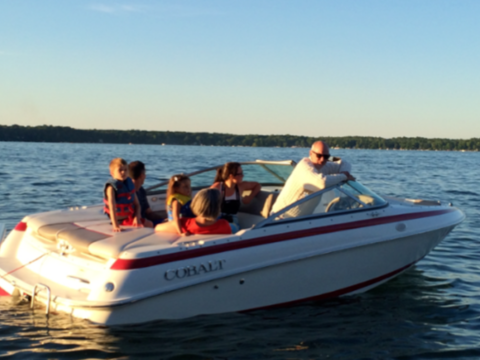 This boat is located in East Dubuque, Illinois and is in great condition. She is also equipped with twin Volvo Penta engines that have 399 hours. Reason for selling is retiring from boating. As you can see from the pictures and video this 2016 Tahoe 550 TF is in good shape. You can see the small tear in the captain's seat at the seam. 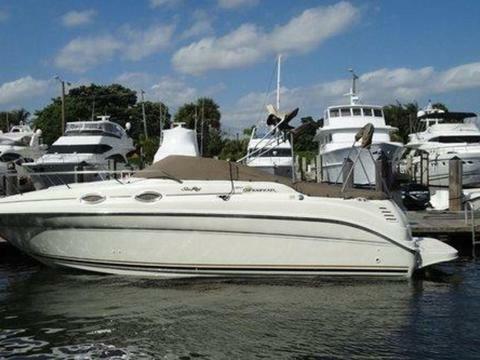 Per the seller, the boat is in good shape and has been well maintained and everything is in working order. Stock #170975 Barely used TAHOE, Get this Beauty while she lasts. Have the summer you deserve. If you are in the market for a fish and ski, look no further than this 2016 Tahoe 550 TF, priced right at $27,800 (offers encouraged). 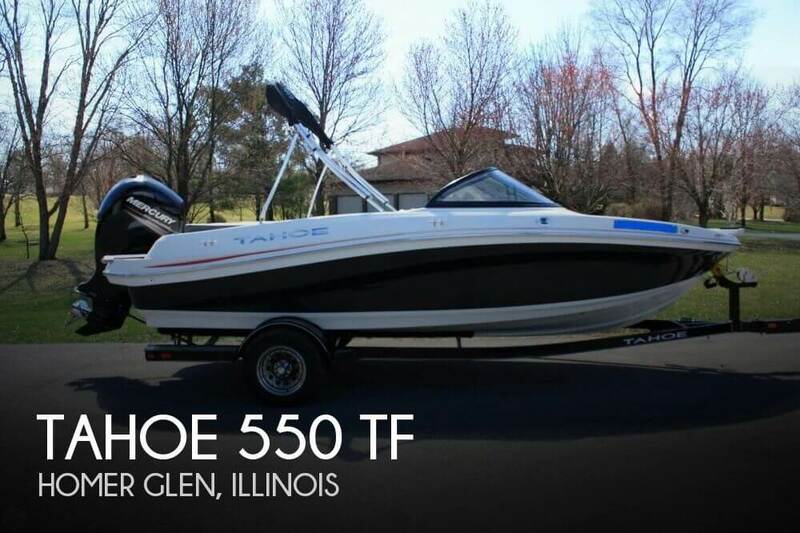 This boat is located in Homer Glen, Illinois and is in good condition. She is also equipped with a Mercury engine that has only 100 hours. Reason for selling is not using enough. As stated by the owner; this vessel is in overall great condition. Engines have low miles for the age of the vessel and have been maintained according to the highest standards. Drives are in good condition and have been serviced. Hull is in good condition. The cabin area is in great condition. The deck is in good condition. Upholstery is in good condition. Canvas is in good condition. Stock #173731 Two stateroom. Sleeps 5. Galley with refrigerator, Galley sink, stove, microwave, cabinets. Fully functioning head If you are in the market for an express cruiser, look no further than this 2000 Doral 360 SE, priced right at $61,200 (offers encouraged). 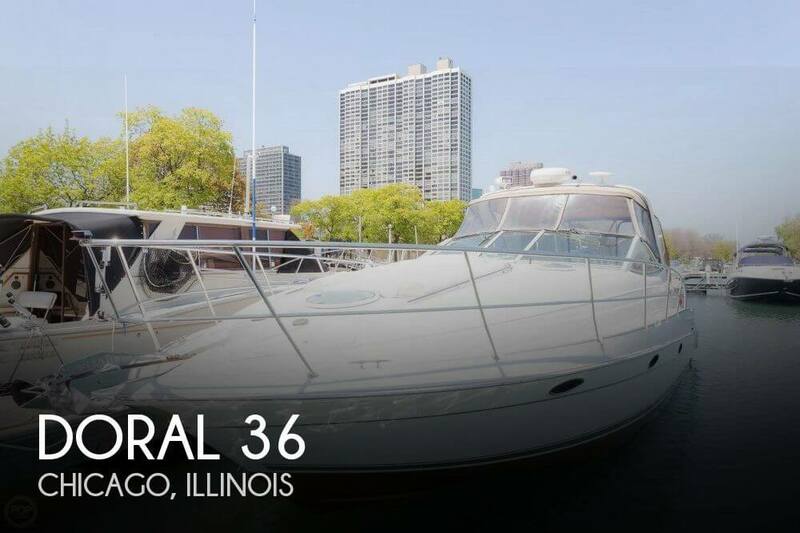 This vessel is located in Chicago, Illinois and is in great condition. The engine has 1,000 hours. Reason for selling is owner is purchasing a newer vessel!. As stated by the owner: the overall condition of the vessel is in good condition. Hull is in good condition! Canvas package is newer and in great condition! Deck features are all in good condition! Upholstery is in good condition! Cabin area is in great condition! Engines have been serviced and are in good condition! Stock #165805 Very nice and well maintained 1999 Regal Commordore 2760! Ready to hit the water! 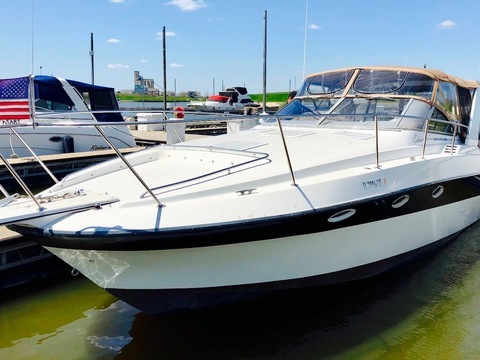 If you are in the market for an express cruiser, look no further than this 1999 Regal 2760 Commodore, priced right at $27,700 (offers encouraged). 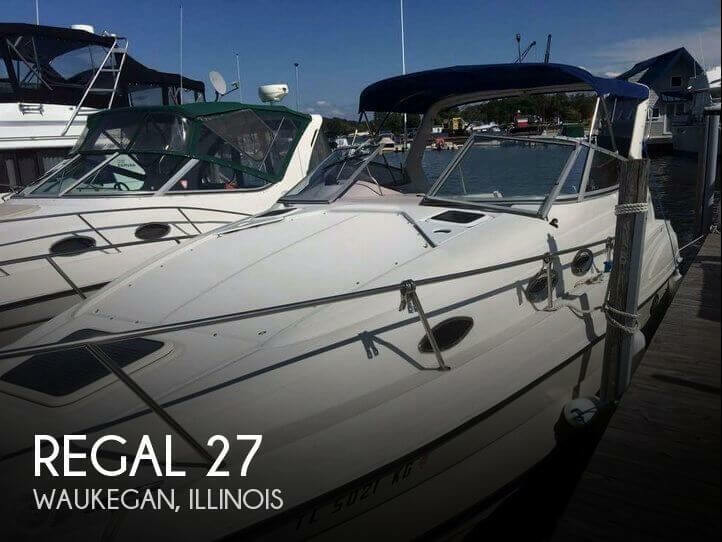 This boat is located in Waukegan, Illinois and is in great condition. She is also equipped with twin Volvo Penta engines. Reason for selling is owner has already purchased a larger vessel!. As stated by the owner, the overall condition of the vessel is in good condition. The rigging and sails appear good! Mechanically she appears in good shape! The owner has been slowly working the aesthetics over the course of the last year! (3) big maintenance issues have been the cabin sole where he had to make a cut to repair the compression post. A few leaks around the stanchions. Bilge needs to be cleaned! Hull needs to be painted. The owner had the hull vinyl wrapped last spring! The engine is original. The owner had the head reconditioned last winter to include new valves, guides, springs, and seats. The original lift pump no longer functions but an electronic pump has been installed and works great! Running Rigging was all replaced in 2017! Mainsail is in good condition (dacron by Sobstad)! Light 155% Genoa is in fair condition! 130% has one more season on it! by (Sobstad)! 95% working jib in fair condition! Storm jib Spinnaker is almost new by (Sobstad )and includes a sock! There is also an old backup main and backup spinnaker that the owner has never used! Deck condition is good but moisture is present based mainly on age but no soft spots! All deck hardware is through solid glass! Owner repaired the cabin top (2) years ago. The cabin is in fair to good condition. The floor has a 6'x6" hole where the compression post was repaired. Batteries: (1) starting battery is two years old! (2) house batteries also (2) years old! Built inshore power charger! 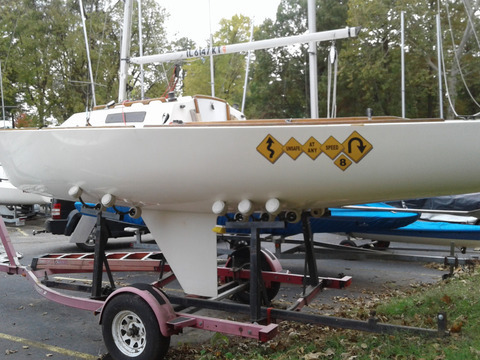 Stock #172324 Super Well Equipped fresh water only Classically styled by well known designer easy sailing sloop!! 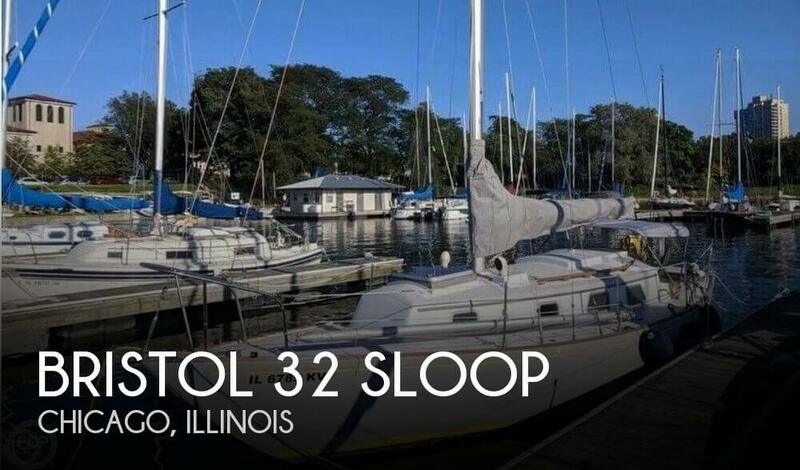 If you are in the market for a sloop, look no further than this 1975 Bristol 32 Sloop, priced right at $17,750 (offers encouraged). This vessel is located in Chicago, Illinois and is in good condition. She is also equipped with a Bukh engine. Reason for selling is owner is purchasing another vessel for racing!.